Arrive in Phuket. Transfer to hotel & checkin (std time @ 14.00 hrs). Afetr a long journey day free for leisure. 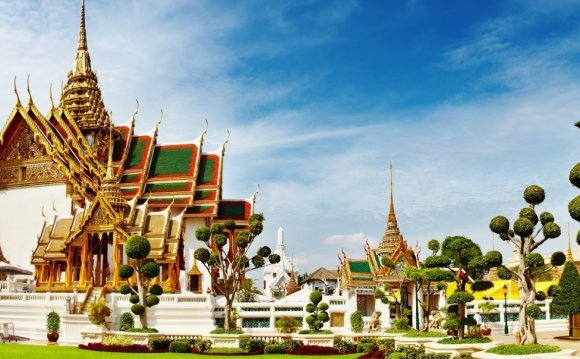 Post lunch proceed for a half day tour which will take you to the most famous cultural and scenic places of phuket, giving you a glimpse of the island’s beauty. Overnight at phuket. After breakfast depart for a day’s trip to Phi Phi Island, situated 40km south east of phuket consisting of 6 islands. Phi phi island is famous for its limestone cliffs rising sheer out of the emerald green waters, white powdery beaches and its many coral reefs offering great diving and snorkeling. Overnight at phuket. Post breakfast check out of the hotel and proceed for krabi. Checkin at the hotel. Day free for leisure. Overnight at krabi. After breakfastt enjoy a full day tour to discover the islands near railay beach with beautiful white coral sand beaches and crystal clear water. They are often referred to as the 4 islands – koh poda, cicken island, tup islets and phranang cave beach where you can reach by a long tail boat on this popular tour around krabi. Overnight at hotel in krabi. After breakfast check of the hotel and proceed to the Krabi Airport for your flight back home. Just pay 25 % of the package cost inclusive of taxes and full amount of the airlines cost. You will get a booking confirmation voucher within 240 minutes of the payment receipt and your booking status will be "BOOKING HOLD- CONFIRMED"